Our registration sessions are taking place on Wednesday 7th (19:00 – 20:30) and Saturday 10th September (09:00 – 11:30) at Meadowburn primary school. All gymnasts must be registered and registration fee should be paid. We will also be taking orders for leotards and shorts – please note that payment must be made at time of ordering. All gymnasts wishing to come to the Christmas panto this year must return the permission slip and payment by Sunday 11th September. There will be forms available at both registration sessions so if you’ve lost yours you can get another one then! Our annual display is being held on Saturday 10th December at Avondale. A £2.00 deposit is also due for gymnasts wishing to take part in the display. This will allow coaches to begin choreography straight away. Please keep up to date with tumble sessions for our squad gymnasts via our ‘Dates for your Diary‘ section of the website. 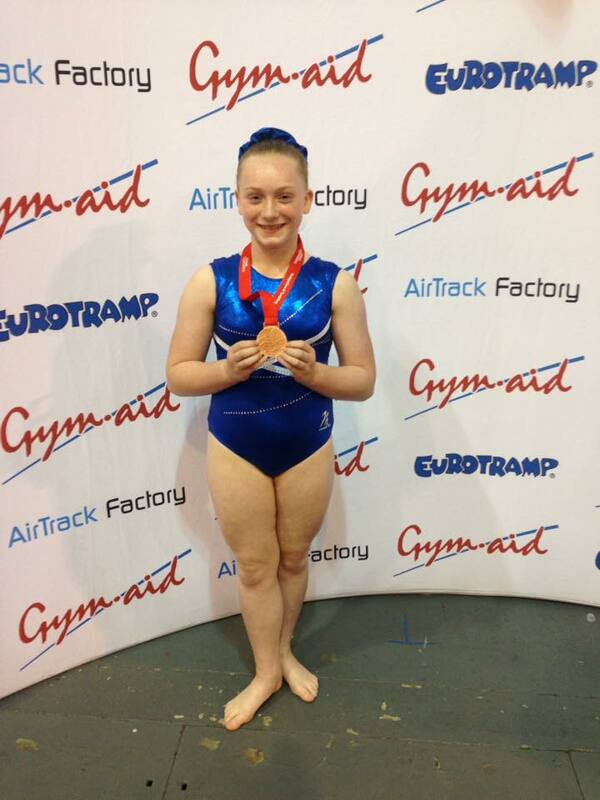 Congratulations to Freya Togher our August ‘Gymnast of the Month’! Freya has been working really hard in the gym recently. We’re looking forward to seeing her compete with her new trio in Middlesbrough next month. Well done and lots of luck! Big congratulations to Holly Kelly and Ellie Lavy who have been selected for East Dunbartonshire’s Elite Athlete Performance Programme. The programme has received hundreds of applications over the past three years and Holly and Ellie are two of only twenty three athletes selected this year with Ellie having participated in the programme previously. Well done, girls!